Beer and boardgames, boardgames and beer. Such a truly excellent combination. 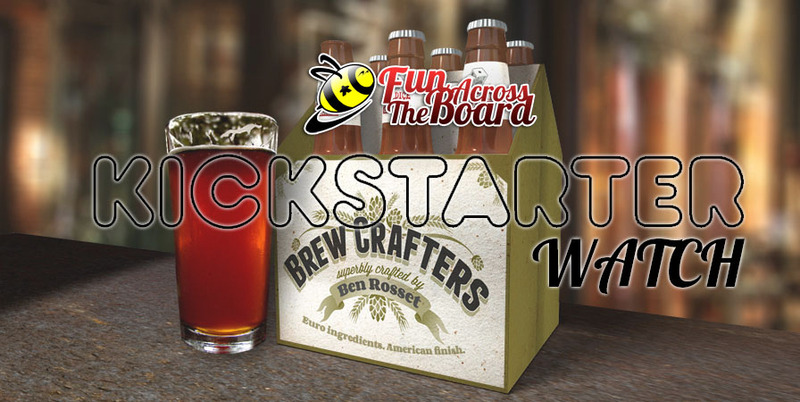 I guess it was only a matter of time until we got a boardgame about beer. Dice Hate Me Games have this little beauty up on Kickstarter at the moment. A eurostyle game where you get to run your very own brewery! It sure looks like fun and the great news is that it has already reached its funding goal. If you live outside the US, then the shipping may push the price a little high, but don’t despair, the creators are offering a print and play version of the prototype, totally free! This is missing the final artwork, but its a lovely way to try the game out before committing to a full purchase. Anyway, we love the idea behind this game and actually know a brewer ourselves. If we can get over the “shipping shock”, then I’m sure we will be backing this one.